You can tell that from a 40 second trailer? You could have said Matt Smith lacked gravitas from first impressions. Yet he most certainly had his moments and they made more of an impact because it was rare and unexpected. I don’t think they could really have gone with another solemn Doctor after Peter Capaldi (as great as he was!) as it’s obvious the causal viewer (and a great deal of fans) wanted a change! I can’t wait to see Jodie get real! I’ve you’ve any doubt she can do the serious stuff, just check out her back catalogue! Really? Where have you heard this? I have a few thoughts on the Daleks in series 11. Now, the last time we had a Dalek story was at the beginning of series 9. Since then we’ve had a small cameo in ‘The Pilot’ and Rusty in ‘Twice Upon a Time’ but I’m not really counting those. So it has actually been *some* time since the last proper Dalek story. That being said, if the Daleks return in series 12 rather than series 11 then it’ll probably have a bigger impact. Important question here though: is there any truth in the rumour that Daleks have to appear at least once per year? You can say that again, give them a few seasons off. If you can,t get your head round her don,t bother. Come back when shes got that first season under her belt. Mccoy was the one i had problems with and i barely saw any of his on original transmission, i just found it difficult to accept this spoon playing buffoon. years later and much reassessment later i learned to really like him more as the doctor when he got ‘darker in those later stories’, that doesn,t mean i don,t still have difficulty with his first season though even now. We need to see more evidence of any element of threat conveying that those involved as “custodians” of Who really do know what their doing whatever misgivings we may have about this right now. It’s good that they’re keeping their cards close to their chest, as it means it’s less likely things will be spoilt. In series 9, the return of Gallifrey was spoilt. In series 10, the return of John Simm’s Master and the Mondasian Cybermen should’ve been kept secret. However, there’s nothing like a good old monster reveal to build up excitement. I don,t know whether you,ve seen any of her previous work but jodie is a very good actress, whether or not she,ll appeal with her interpretation time will tell but from what i,ve seen so far the outlook is promising. Dalek Bumps you sumed it up perfectly. 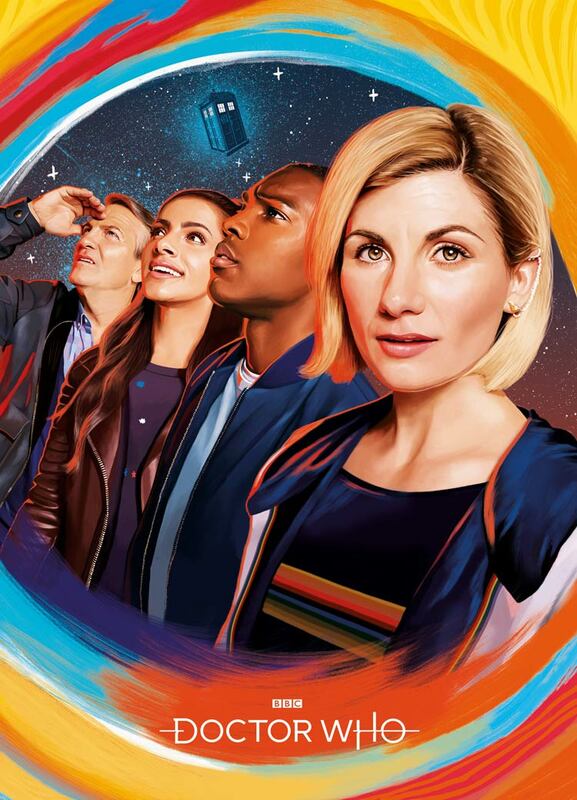 It doesn’t feel right, Jodie as the Doctor! I know I know…..give it time. Was that ‘the presidio park Base barracks’ in San Francisco they were running through? Looks and sounds great. more alien reveals next Time please. Looks like it’s filmed and directed well. But, I still can’t help feeling this is a more light weight Doctor lacking the gravitas the central character really needs to be. One thing that does make me giggle is that people are always angry when trailers reveal too much. Hopefully just me. However the visuals look superb! Hey weren’t kidding when they said they were going for a more cinematic tone. Same, I was a bit disappointed of this trailer, I know there trying to keep everything locked down, but maybe they can give us a hint of something to come. Hopefully we get something better in the future. I think they just still don’t want to give too much away. They don’t want to show which monsters will be in Series 11, so they can’t really be in the trailer. I really don’t wanna say this as I’ve been hyping myself up for this series. But was Jodies acting, at least in the clips from this trailer…not that good?